Do you remember by blog story about the elderly Yakima, Washington man, Charlie Stump? He was a craftsman, who could take a driftwood snag, and transform it into a beautiful piece of art. 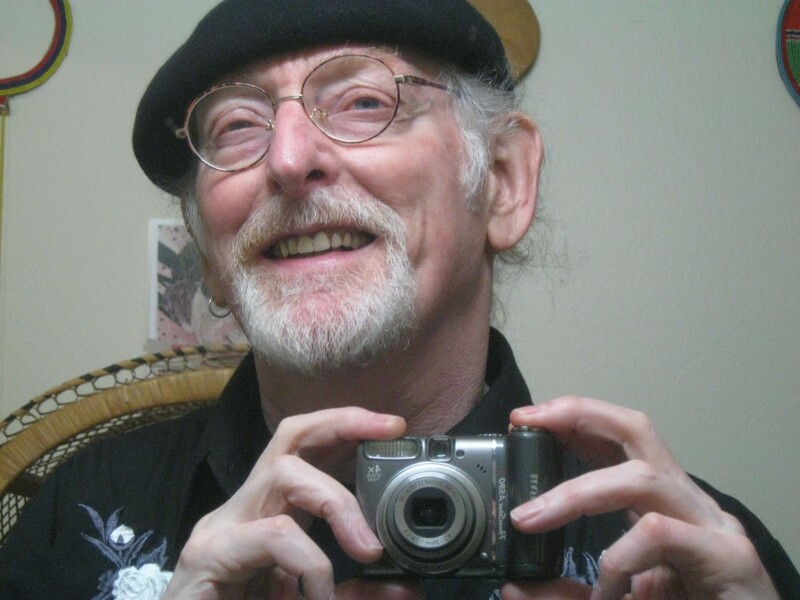 Just Google these words, if you’d like to read it: Randy Bowles WordPress Charlie Stump, The Driftwood Man, And Other Stories. — Well, here is a new story for you, about two more old men, and and two old, neglected, wooden music instruments. And yep, I’m one of the old men. 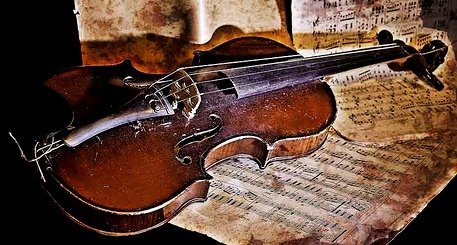 Have you read the wonderful, inspirational poem, “The Old Violin”, which was written about an old fiddle that had been put up for auction? It was scratched up, dusty, and just…. old. The poem relates how, once the auction got underway, the poor, neglected instrument was apparently going to sell for only three bucks. There was just no interest in it at all. — However, an old man stepped up to the front of the room, took the violin and bow in hand, and proceeded to produce absolutely angelic music. And do you know what? The violin wound up selling for three thousand bucks. Some members of the auction crowd were mystified, wondering why the price had jumped tenfold. The auctioneer had to explain this. He simply said, “The touch of the master’s hand”. There’s a deeper meaning to the poem — it concludes with another verse — one describing how a man “with life out of tune” is put back on the good foot by “the touch of the Master’s hand”. And I can relate to that…. Well, the poem, written by Myra Brooks Welch nearly one hundred years ago, was adapted into the great country/gospel/bluegrass song, “The Touch Of The Master’s Hand”, which you’ll find below. You’ll be able to just click and listen. — I’ll also put a link to the poem. Fifty+ year old Sears Silvertone acoustic, just for example. Now, here’s my story. It’s another one of my oddball ones…. Strangely, I had a part in the playing-out of the poem/song in real life. — Only, the instrument in question was a guitar, rather than a fiddle. Every word of my story is true. 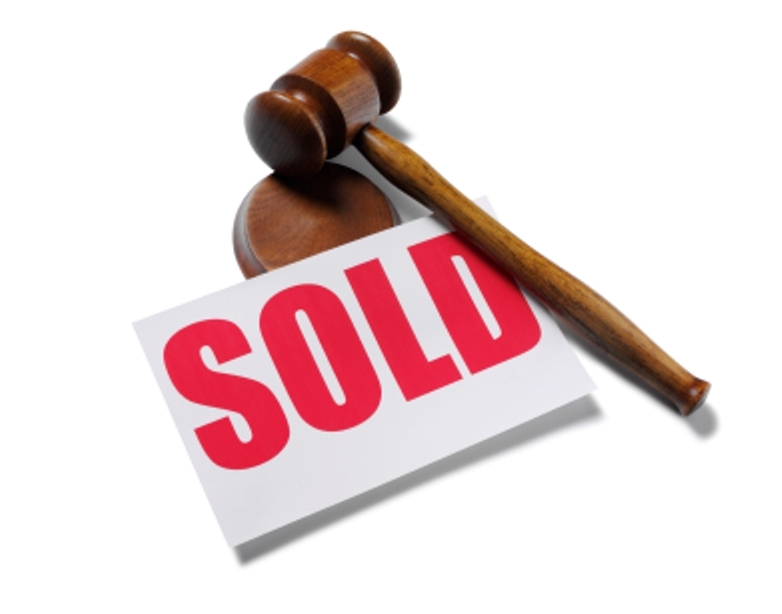 Somewhere around the year 1998, my late, beloved wife, Sally Jo Davis, and I were attending an auction — our favorite one — at Seattle, Washington’s Aurora Antique Mall, where the proprietor, our friend, Mr. Lee, was the evening’s auctioneer. Mr. Lee had spent an hour or so bringing the gavel down on various items such as vintage pottery, decorative carvings, sets of old dishes — all kinds of things. Then, one of his assistants placed a guitar on the folding, portable table in front of Mr. Lee’s podium. 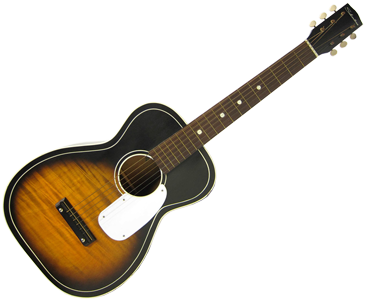 Mr. Lee said, in his Korean-accented voice, “The next item is a guitar”, while he pointed down to a rather dilapidated-looking, six-string acoustic. Well, the auction attendees were definitely “Meh”, in regards to the guitar. — No one stirred, no one said anything, no one sat up a little straighter in their chair, in anticipation of placing a bid. It was obvious that this poor guitar was going to go for…. maybe 10 bucks. Sensing the disinterest in the room, Mr. Lee made the following announcement, which came as a total surprise to me: “Before we sell this, perhaps Randy will come up and play it for us, so we can hear how it sounds”. Well, at that time, I’d been playing guitar for around 35 years, so you might say I knew my way around a fret-board. And I’d performed thousands of shows, all over the West Coast; therefore, I wasn’t the least bit bashful about performing in public, no matter the setting. So, without hesitation, without really thinking about it, I walked up to the auction dais and took up the old, somewhat battered guitar. After checking it quickly for in-tune-ness, and play-ability, I strummed it, and sang a couple of verses of the old country-gospel song, “Somebody Touched Me”. Then, I gently placed the guitar back on the table. Mr. Lee gave me a kind smile (my pay for the night). And, then I quietly walked back to my chair and sat down next to my Sally Jo, kind of knowing what would happen. After witnessing a spirited round of bidding, with auction cards being thrust up into the air en masse, we were so pleased –tickled pink, actually — to see the guitar go for a quite-respectable price! I wonder: was Mr. Lee employing an old auctioneer’s trick? Did he know about the poem, or the song? It would make more sense for my story to happen now, because now I really am an old man, just like in the poem and song. I’ve been playing for almost 55 years. And BTW, the guitar I currently use has a hole nearly worn through it, by my constant pounding on it. One of the tuning keys is a little crooked, and there’s strange, white dust stuck to the fret-board — it won’t come off. But the guitar, a Seagull Mahogony Folk Duo, sings like an angel. FYI, I chose the old Silvertone guitar to illustrate my story for the following reason: I grew up in Yakima, WA. We had a lot of guitar pickers in that town. In 1963, my folks bought me that identical model of guitar, and gave it to me on my 14th birthday. I used it until the finish was worn off the fret-board. I graduated to other guitars that were much, much finer. But I’ll always remember that little Sears parlor guitar with deep fondness. I gave it to some children who lived in my Cascade Vista neighborhood, in hopes that one of them would learn how to play it. I checked back one day. They were using it as a sandbox toy. I should have grabbed it, then and there. — The one in the photo recently sold on the internet for $250, or tenfold what my folks paid for mine. Mr. Lee went on to own Pacific Galleries on Lander Street, in Seattle, by the old Sears store. Sally Jo passed away in 2015. I’d like to think she’s Up There, waiting for me.